No ancient culture is as glamorous or longstanding as those of Eastern Asia. Asian fine art prints like “Young Woman Applying Makeup” and “Courtesan Kneeling” bring to life the beautiful young women who were prized throughout history. With their hair and makeup done, they bring youth and splendor to anywhere they are displayed. “Head of a Woman” especially depicts the detailed hair and exquisiteness of the painted young women. 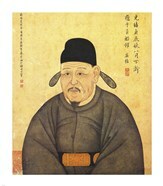 Of the East Asian counties, China has the longest history of dynasties and traditions. 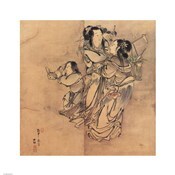 Styles throughout Chinese history are captured in Asian sketches like the piece “Chinese Mandarin Figure V” which depict styles from the 18th Century when the Qing dynasty ruled all of China. Further pieces from the Chinese section include “Chinese Mandarin Figure III” which shows a general in traditional attire and will bring a flash back from an ancient Chinese past. Japan is home to geishas and famous samurai soldiers, both who worked from young ages to bring honor to their families. Traditional samurai warriors are depicted in Asian Figurative prints like “Battle of the Samurai” and “Samurai Sharpening His Weapon” where they are seen with their weapons, traditional war outfit, and intense looks in their eyes. The cultures of East Asia continue to today and are lively in Asian photographs where the arts of each country are explored. Pictures like “Geishas Conversing in Japanese” depict the colorful kimonos of modern day Geishas. Meanwhile, photos like “Abbot of Watkun Meditating” explores the modern day Buddhist practicing ancient beliefs.